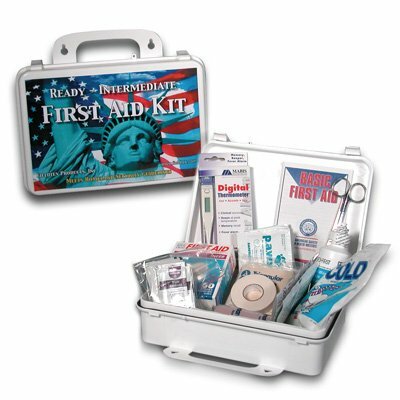 Plastic case features wording "Ready Intermediate First Aid Kit"
1 Roll Gauze 3" x 4 yds. 1 Tape 1/2" x 10yds. 1 Elastic Bandage 3" x 5yds. 1 Triangular Bandage 40" x 40"